Access physical activity grades, report cards and other related documents from all Global Matrix events in which Portugal has participated. To develop and implement a more comprehensive national physical activity promotion framework which would include not only organized sports and physical education, but would further focus on avoiding sedentary behaviours, promoting active transportation or active play. Lack of national coordination mechanism referring to the various aspects of PA promotion leads to one-dimensional approach towards the concept. To put a focus on programmes delivered to the groups widely neglected in the current PA promotion framework such as pre-schoolers and older adolescents, especially girls. Better suited interventions are needed to reach groups, which are particularly in danger of not meeting recommended level of PA. Current one-fit-all governmental approach towards PA promotion, especially visible in the field of organized sports may even foster existing inequalities in reference to access to PA opportunities. To focus on a PA programs involving whole families, especially delivered in their local neighbourhood and with a use of accessible infrastructure such as parks or outdoor gyms. This could directly promote PA among parents, indirectly increase their support for children and adolescents PA and challenge their assessment of neighbourhood environment. Jorge Mota, Ph.D.Jorge Mota PhD, is Director of the Research Centre in Physical Activity, Health and Leisure (CIAFEL). Dr Mota earned his PhD in Sports Sciences at the Faculty of Sports Science at the University of Porto. He joined the faculty of the University of Porto as a Professor of Sports Recreation and Leisure, serving as the Dean of Faculty during a two year appointment from 1996-1998. Currently he is President of the General Assembly and visiting Professor at several Brazilian institutions. 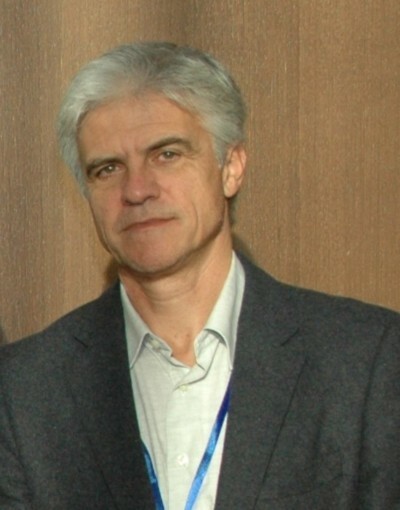 He is involved in physical activity promotion networks including Health Enhancing Physical Activity (HEPA) Europe, and International Physical Activity and Environment Network (IPEN) as well as the International Society for Physical Activity and Health (ISPAH). His primary area of interest is in physical activity and its health related effects namely the relationship with non-communicable diseases. He was also involved in the development and implementation of programs related to physical activity and health promotion as well as he has authored several peer reviewed publications. "It has been a pleasure and a privilege to be a part of the AHKGA Global Alliance 3.0 initiative. Great work and let’s try to make a difference!" - Jorge Mota, Ph.D.
Introduction: Several studies, government reports and international surveys have consistently suggested that the Portuguese population tends to be characterized by low levels of physical activity (PA) and is highly sedentary. 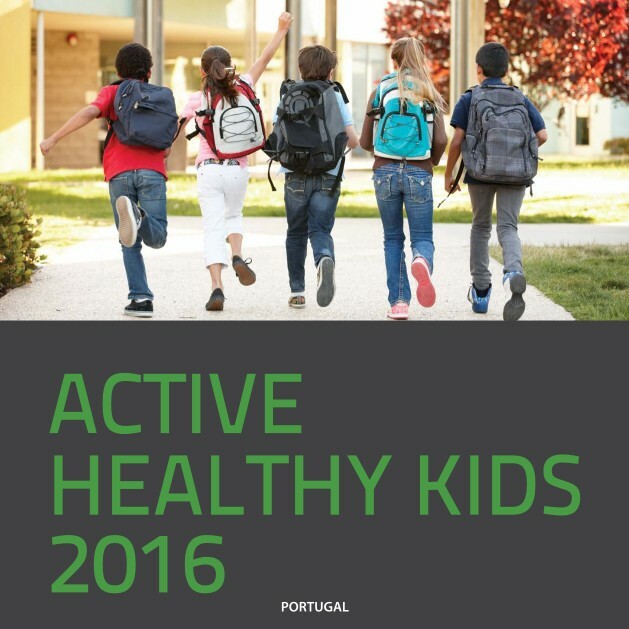 In 2016 we presented the first Portuguese Report Card on Physical Activity for Children and Youth, based on available data from 2010 to 2016. Meantime, new data has emerged and there is a need to update the evidence. Therefore, the current describes the procedures and main results of the second Portuguese Report Card on Physical Activity for Children and Youth. Methods: Comprehensive searches for data related to indicators of PA were completed by a committee of physical activity and sports experts. Grades were assigned to each indicator consistent with the process and methodology outlined by the Active Healthy Kids Canada Report Card model. Results: The following grades were assigned: Overall Physical Activity Levels, D; Organized Sport and Physical Activity B-; Active Play – incomplete data; Active Transportation, C-; Sedentary Behaviors, C-; Family and Peers – C; Schools, A; Community and Environment – B; Government, B; Fitness – C. Table 1. Conclusions: Available evidence indicates that there are still a large proportion of Portuguese children and adolescents that are not sufficiently active and that exceed the recommended levels of screen-time. In Portugal, virtually all students, enrolled in formal education, attain regular Physical Education classes. There has been a significant progress in Portugal regarding government efforts in promoting physical activity. Table 1. Grades According to Physical Activity Indicator in the 2018. Mota J, Coelho e Silva, MJ, Raimundo AM, Sardinha LB. Background: This paper describes the procedures and development of the first Portuguese Report Card on Physical Activity in Children and Adolescents. Methods: Comprehensive searches for data related to indicators of physical activity (PA) were completed by a committee of physical activity and sports specialists. Grades were assigned to each indicator consistent with the process and methodology outlined by the Active Healthy Kids Canada Report Card model. Results: Nine indicators of PA were graded. The following grades were assigned: Overall Physical Activity Levels, D; Organized Sport Participation, B; Active Play, D; Active Transportation, C; Sedentary Behaviors, D; Family and Peers, C; Schools, B; Community and the Built Environment, D; and Government, C. Conclusions: Portuguese children and adolescents seemed do not reach sufficient physical activity levels, in addition to larger amounts of time spent in sedentary behaviors compared to recommendations. Effective policies of PA promotion and implementation are needed in different domains of young people’s daily life.